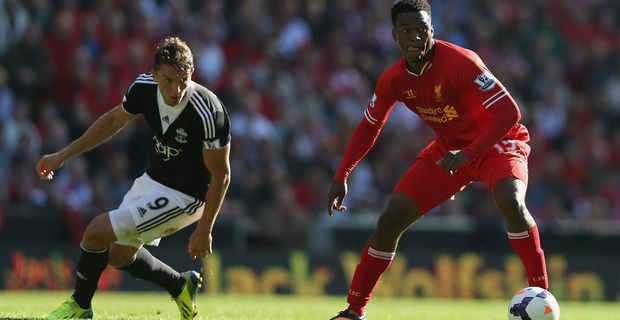 Liverpool's promising start to the season foundered at Anfield as they lost 1-0 to Southampton. Manager Brendan Rodgers has an unshakeable belief in his own tactical acumen, but his bizarre team selection must take a share of the blame for the shock defeat. Rodgers opted to play without any recognised full-backs, although he later sent on Jose Enrique. Liverpool's attacking shape looked disjointed from the outset. Rodgers preferred to lay the blame for the defeat on careless defending, although some of his defenders might well be nursing grievances about being played out of position. "To first lose possession, and then a goal, with so many defensive-minded players on the pitch was criminal," he said. But why no full-backs? "It was what we had available," he said, glossing over the fact that Enrique and Martin Kelly were available for selection. "They coped as well as they could but we suffered a little offensively. I would like a much stronger squad, but we have what we have." Rodgers signed plenty of defensive cover in the summer, although most of his energies may have been distracted trying to persuade Luis Suarez to stay. The Uruguayan is about to return from suspension and the manager hopes that will lift his team. "That's about the only positive," he said. "It will be great to have him back, because technically we were very disappointing. We were flat, right off it. We had one of those days, and it hurts, but I am still optimistic for the rest of the season." The Southampton manager Mauricio Pochettino seemed quite surprised at Liverpool's insipid performance. His team was cautious in the first half but soon realised there was little to fear. "We were much superior to Liverpool, especially in the second half," Pochettino said. "We already have strong belief in ourselves, and a victory such as this only reinforces that."